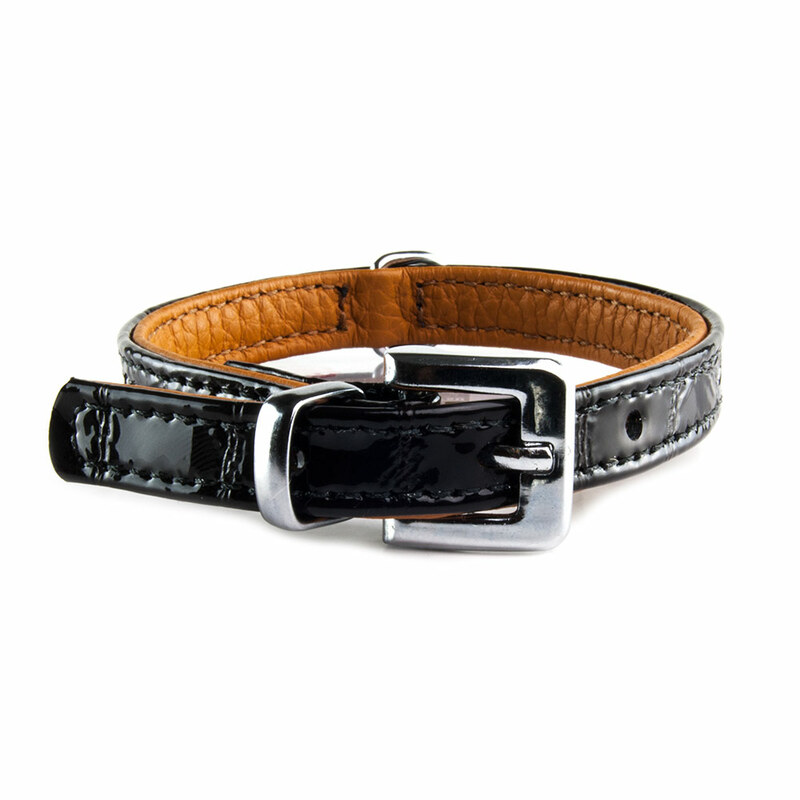 Neck Size: Fits Neck Sizes 5.75" to 7.25"
Our exclusive and very elegant “Buffalo Kroko” dog collar is hand-crafted in Germany by embossing high quality genuine buffalo leather to a illustrious crocodile-leather look. 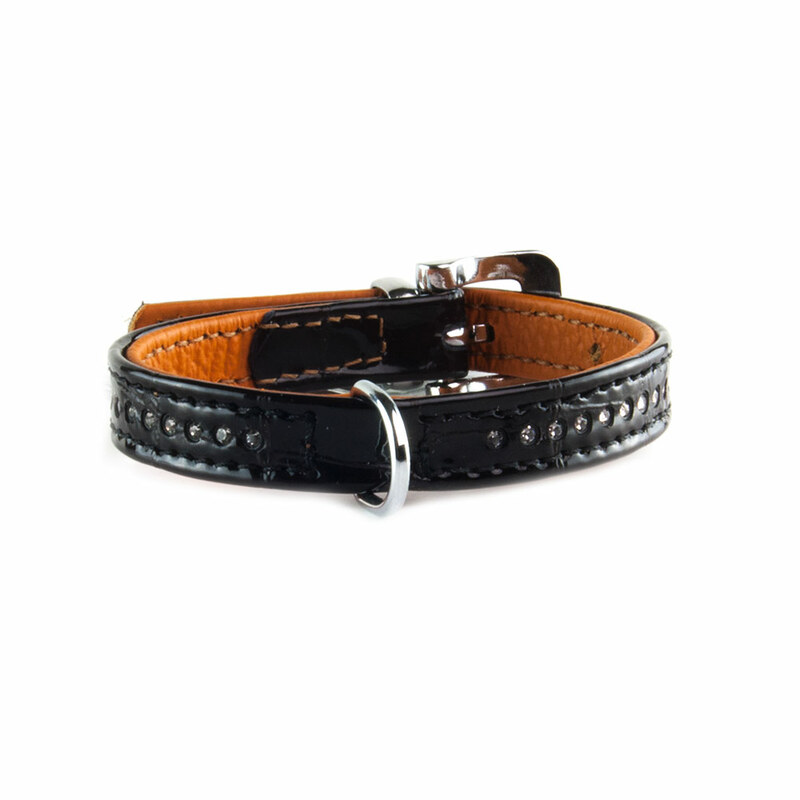 This beautiful dog collar is made using 2 layers of buffalo leather. The outside layer features the embossed crocodile-leather look with a shiny leather surface and is decorated with 20 brilliant rhinestones. 10 rhinestones on each side separated by the convenient chrome-plated collar ring. 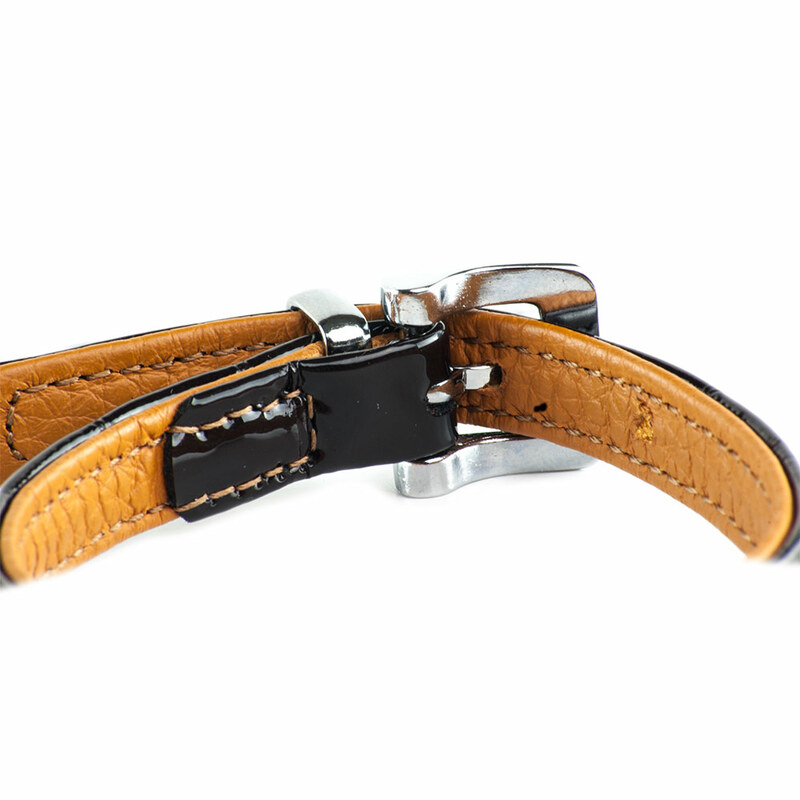 The inside of the collar is padded by an additional soft layer of buffalo leather. This inner layer comes in a beautiful cognac color creating a very elegant contrast to the shiny black outside. 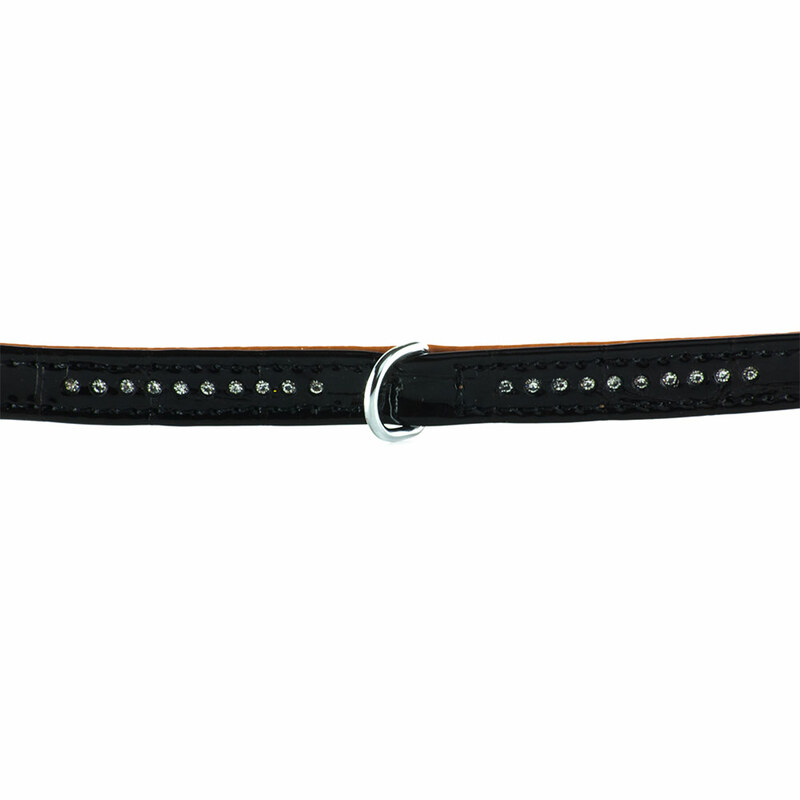 The entire dog collar is finished with color-matching decorative stitching and fitted with a durable chrome-plated buckle. Thanks to the special scotchgard treatment, the buffalo leather is water resistant, water repellent making the collar very easy to clean. Buffalo leather is usually thick and durable since it is not stretched during the tanning process. Therefore, collars made from Buffalo Leather are unlikely to stretch out of shape or tear even with longterm use and wear. The porousness of the leather also allows it to conform to your dogs neck over time improving the wearing comfort. Our Buffalo Kroko is 100% made in Germany and covered by a 5 year limited manufacturer warranty.